It’s hard to believe but I just recently discovered this poignant and healing song that was awarded Song of the Year honors at the 47th annual Country Music Association Awards, as well as Song of the Year at the 49th annual Academy of Country Music Awards was released in 2012. I don’t know what I was doing at the time this song hit the airwaves but I totally missed it. Over the weekend I was driving from Washington, DC to Bethany Beach, Delaware and somewhere along my route I lost all of the radio stations I usually listen to. At that point, I found myself driving through the flat farmland that is infamous to this area of the Mid-Atlantic. Fields of dried up corn stalks, melons and soybeans filled up the surrounding scenery. Every once in a while I would see some black cattle and one or two horses lazing about. 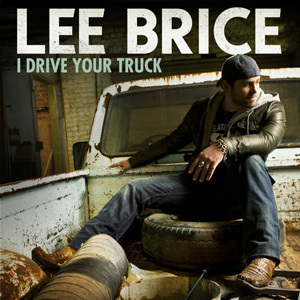 At first I couldn’t figure out the story the song was telling even though I was immediately taken in by the lyrics of “I Drive Your Truck.” The song is personal, even intimate, in its vulnerability and Lee Brice’s voice reflects the pain of telling the story about a man who has lost his brother or his son to a war overseas, never to return home to his beloved family. What to do? How to deal? As the song says, find his truck and drive it until you grind out all the pain. Drive it around and around until the gas tank is empty and then fill it up and do it all over again. As many times as it takes. We grieve because we love and “I Drive Your Truck” addresses what happens after the funeral, when the news of a loved one’s death is considered old by others and you are left with a big ball of confusing emotions to work through. We are naturally drawn to the possessions of our deceased. These are things that our loved ones used or wore or held dear to their hearts. Their possessions create a connection to them that we never want to break. Sometimes the possessions smell just like them which is comforting yet also heartbreaking at the same time. I know this because for several months after my husband died, I wore my husband’s pajamas so I could feel closer to him. But in the case of this song, it’s the truck and all the little things that serve to remind him of his brother or son: the dirty baseball cap on the dashboard, the half empty bottle of Gatorade rolling around on the floor, the old used Skoal can and the Go Army T-shirt folded up on the back seat. Grief can be overwhelming when it hits and things like trucks, pajamas, sweaters, coffee cups, pens and other things our loved ones leave behind can help us cope and ground ourselves a bit when we feel we are starting to spin out of control.